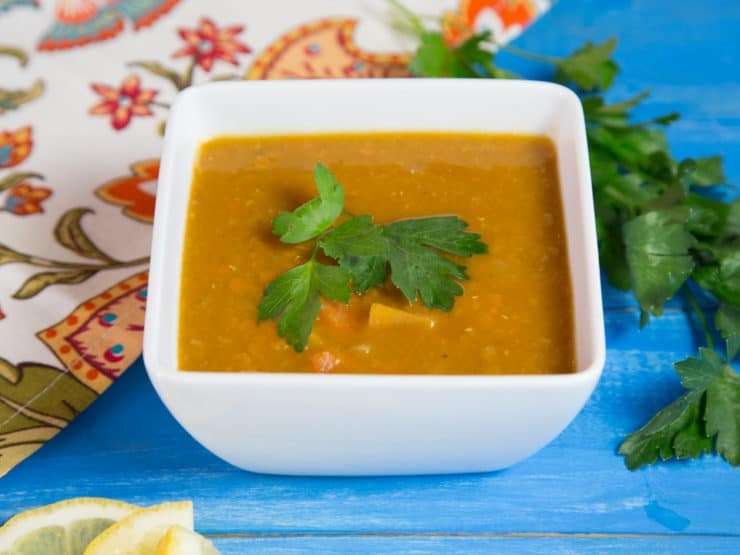 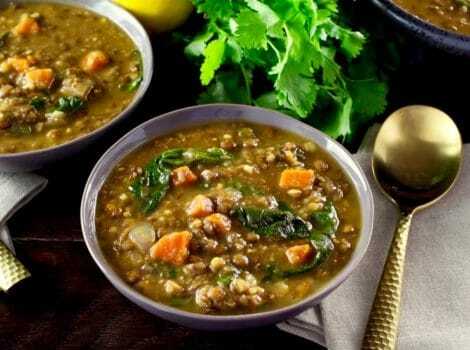 Hearty, flavorful vegan soup with red lentils, sweet potato yam chunks, and spices. 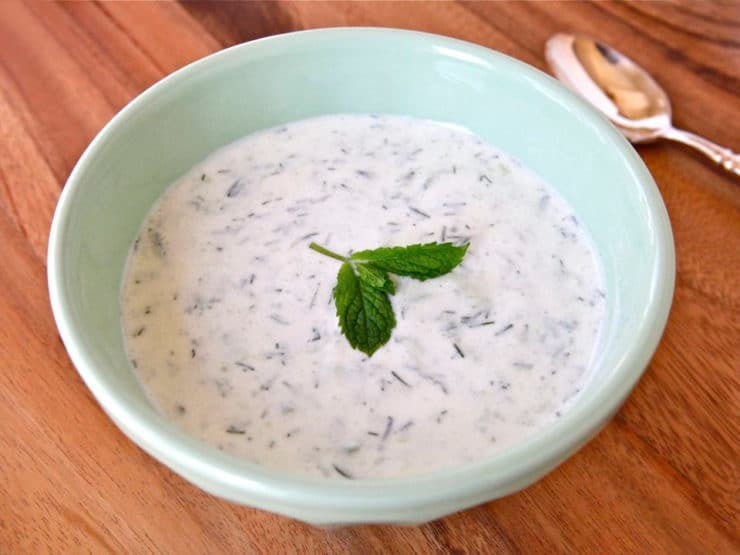 Easy to make in 1 hour. 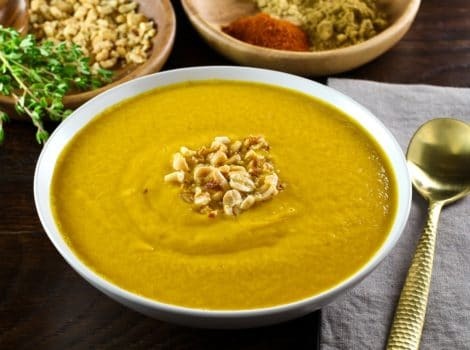 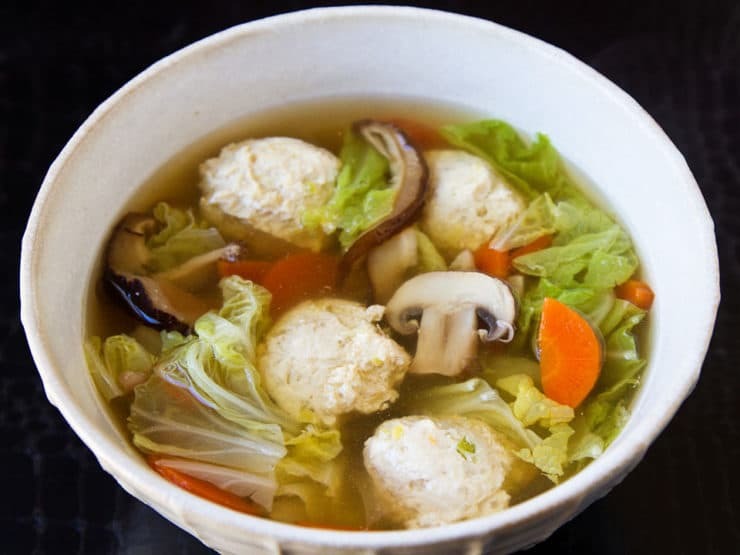 Jewish deli-style soup recipe. 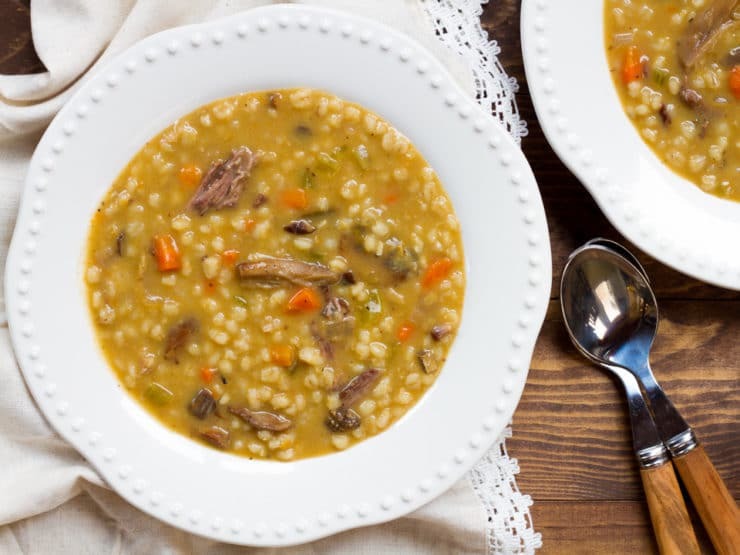 Easy, savory and comforting, perfect for a chilly afternoon. 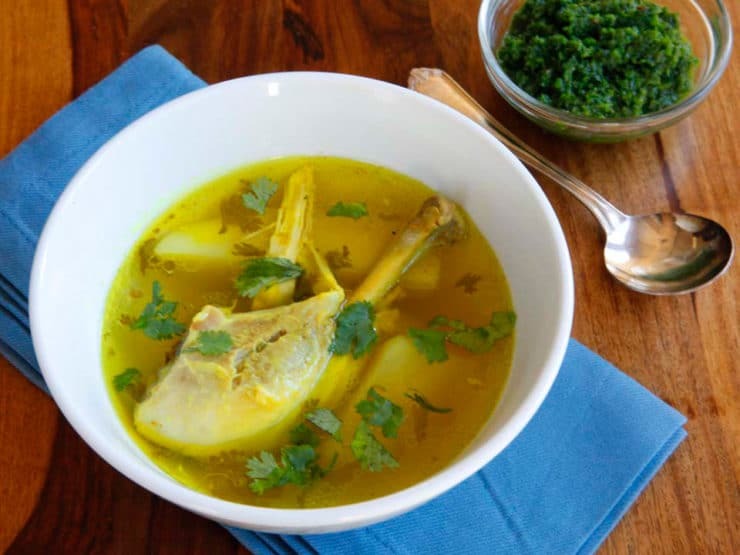 Learn to make Yemenite Soup with chicken, beef or lamb and potatoes, spiced with traditional Yemenite hawayej spice blend. 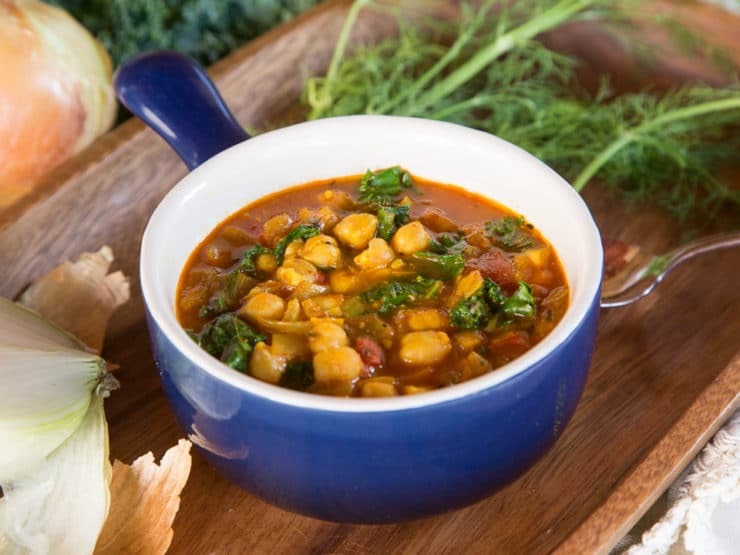 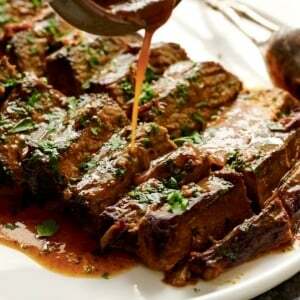 Healthy, hearty, comfort food. 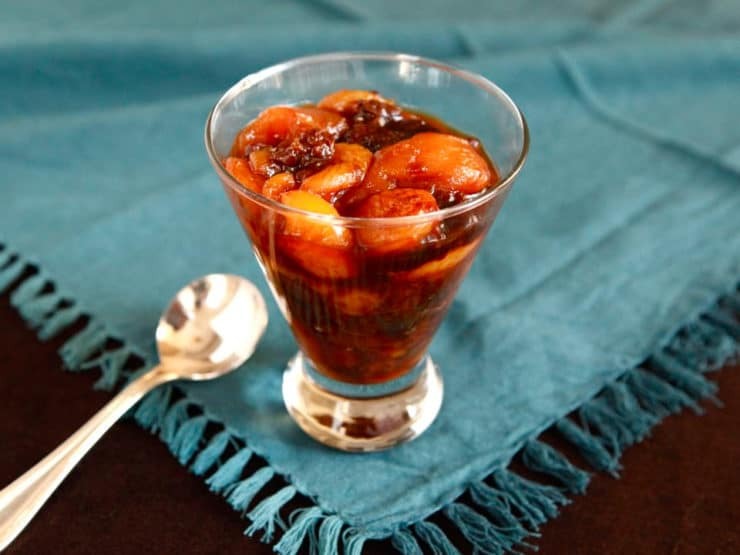 Simple Eastern European Jewish dessert recipe for Marak Perot, also known as Compote or Fruit Soup, with apricots, dried plums and lemon juice. 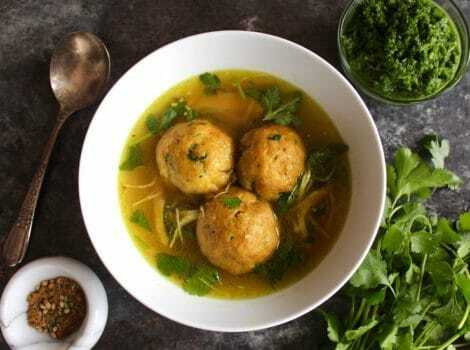 One secret ingredient makes this the ultimate meatless matzo ball soup! 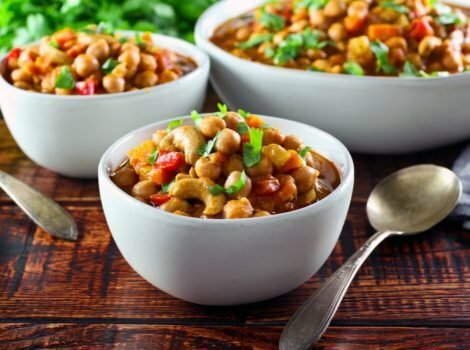 Savory chicken flavor without the meat. 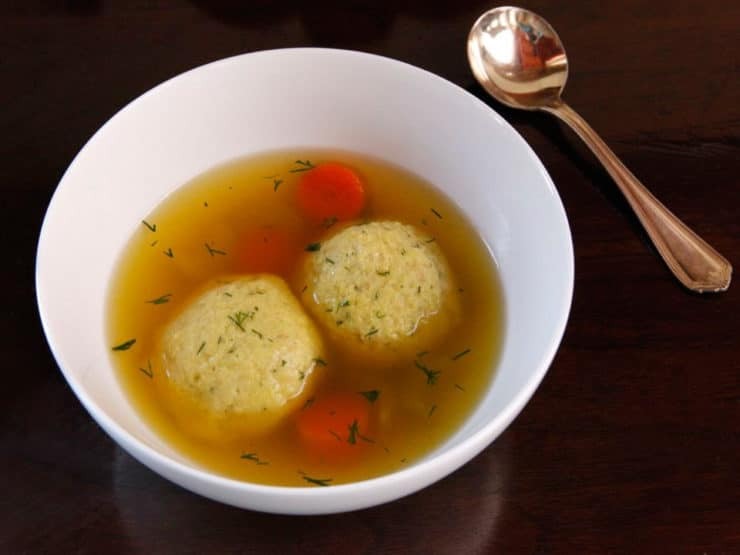 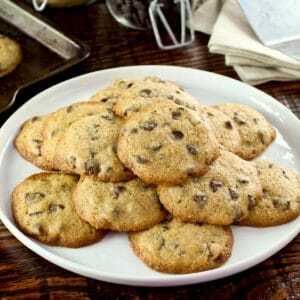 Kosher for Passover recipe. 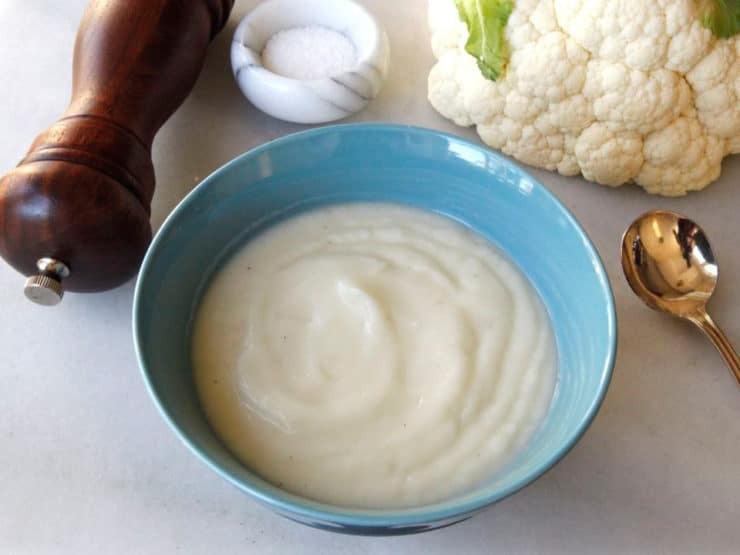 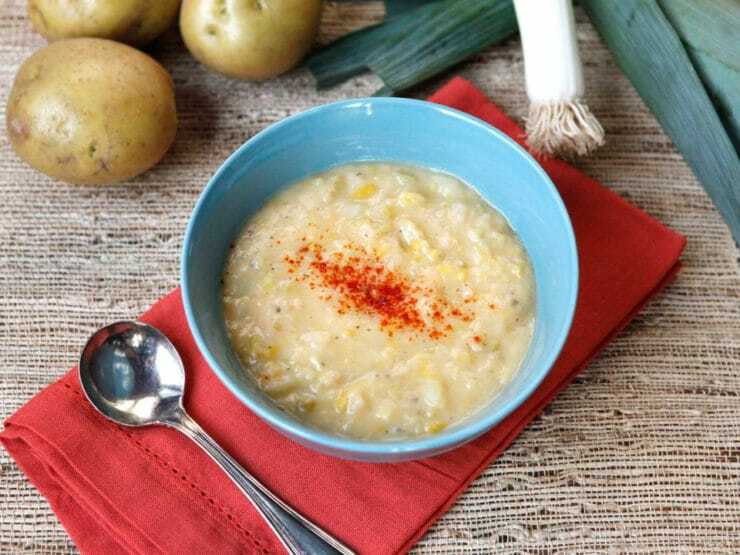 Smoky Potato Leek Soup, easy, cozy and healthy vegetarian soup recipe. 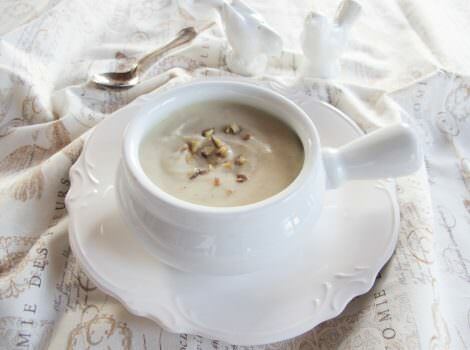 Perfect for cold weather. 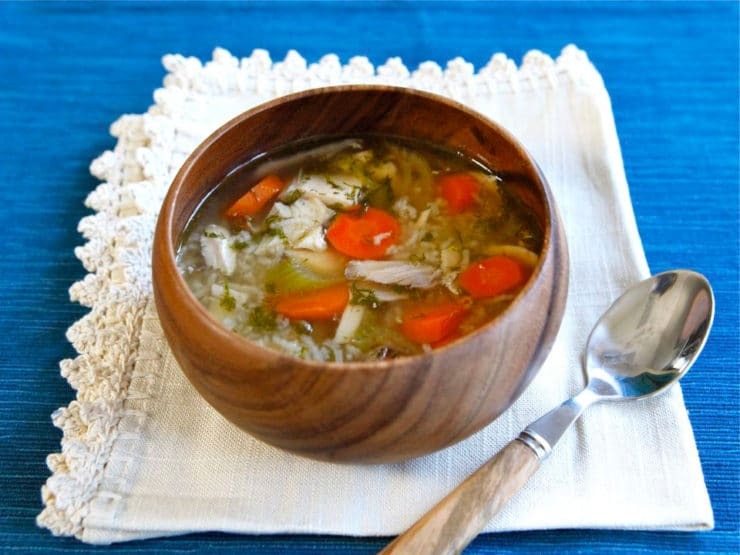 Make delicious chicken rice soup from rotisserie chicken, vegetables, herbs and spices. 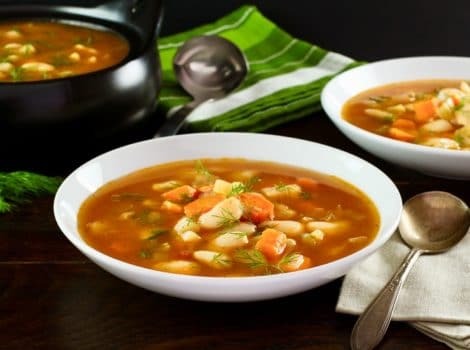 Warm, comforting, richly flavored stock. 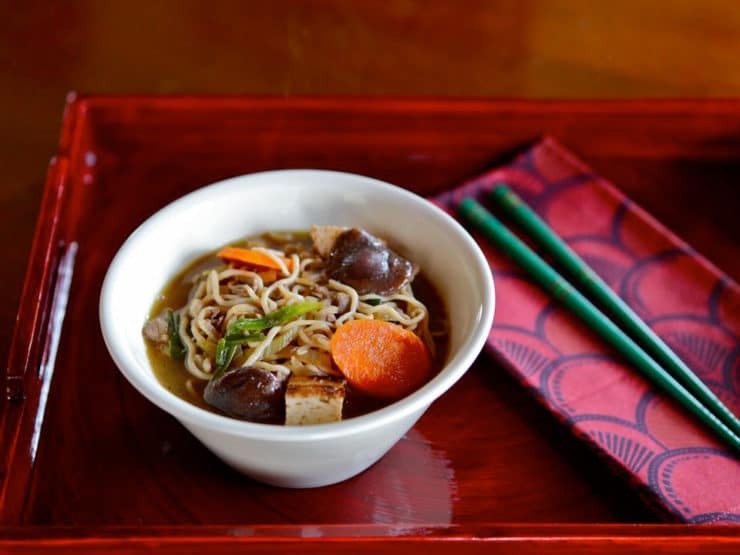 Recipe for sukiyaki, a Japanese hot pot made with beef and vegetables. 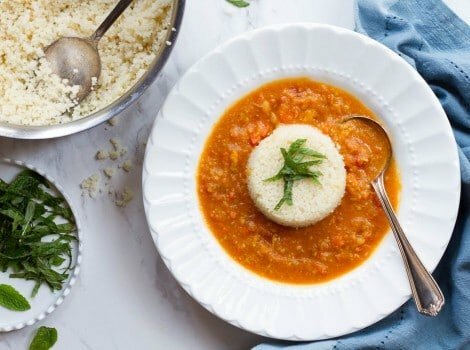 Healthy, gluten free comfort food from The Asian Grandmother’s Cookbook. 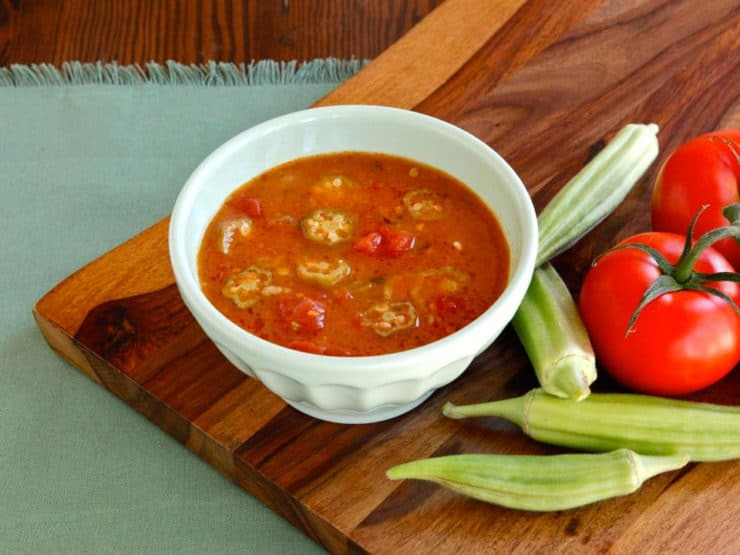 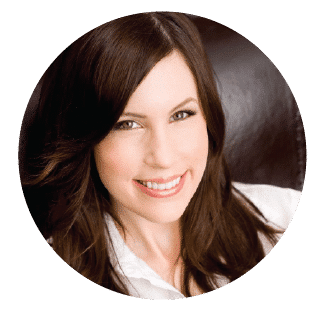 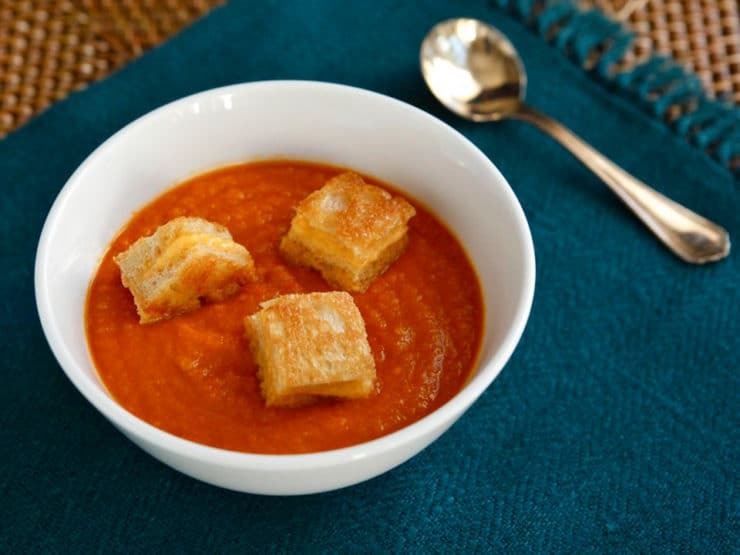 Kid-friendly recipe for Tomato Soup with tasty Grilled Cheese Croutons from Catherine McCord and Weelicious Lunches. 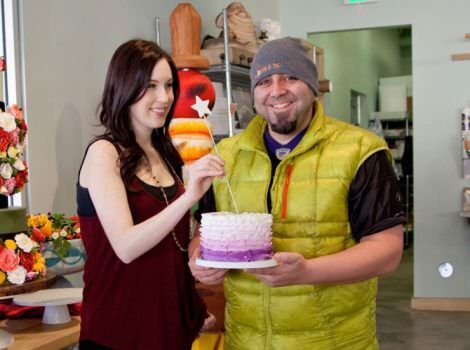 Interview with Duff Goldman about his culinary journey, family food history, Charm City Cakes West, Duff’s Cakemix, and his family recipe for Beef and Barley Soup.